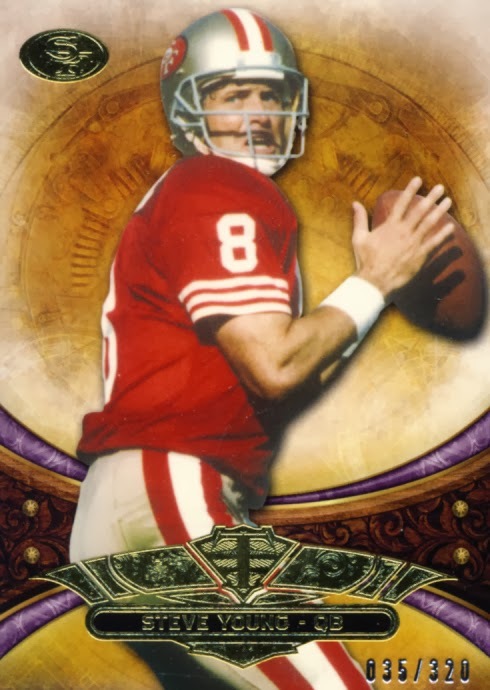 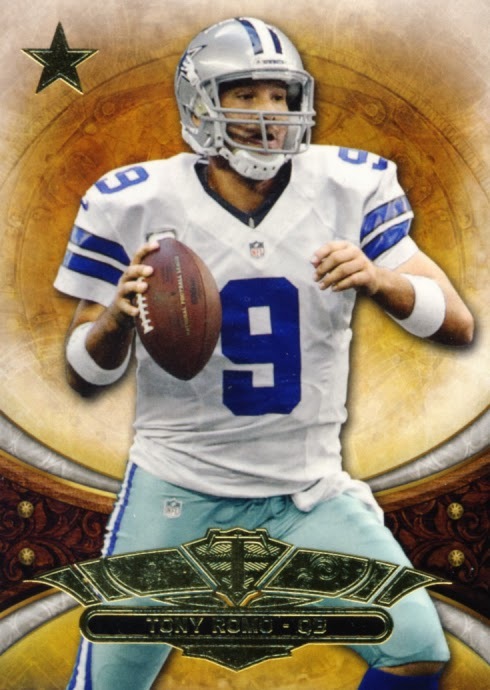 The base card design here is strong with excellent use of gold foil accents. 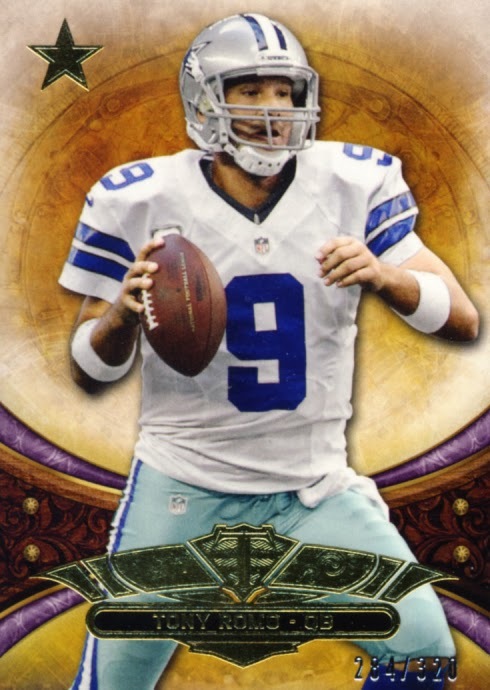 Colored parallels are much more subtle this year as you can tell from our Tony Romo half Rainbow. 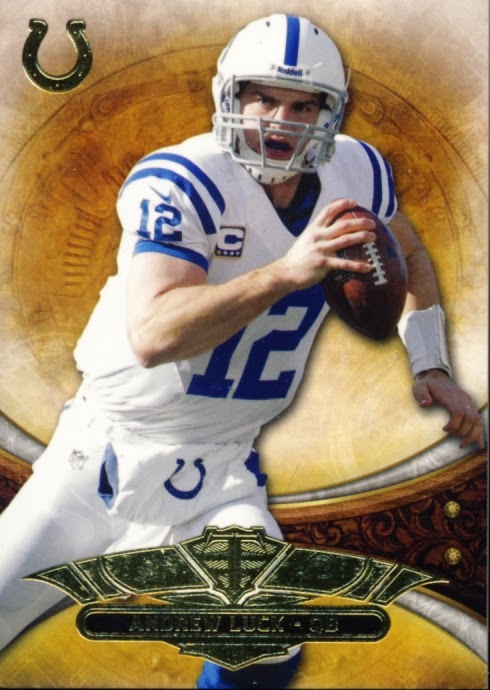 Hit cards look great. 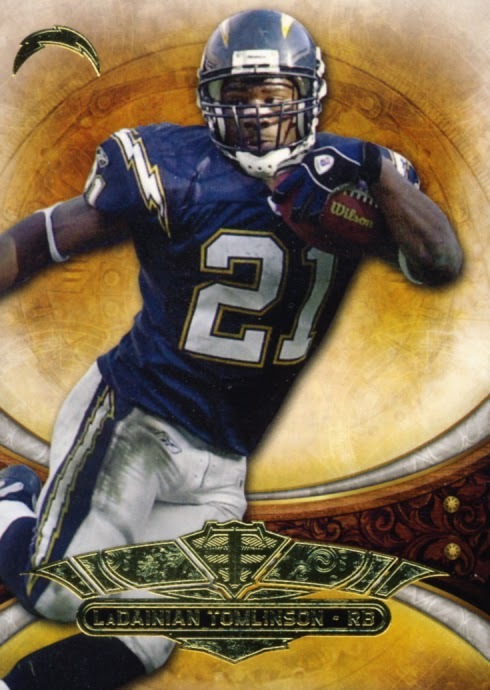 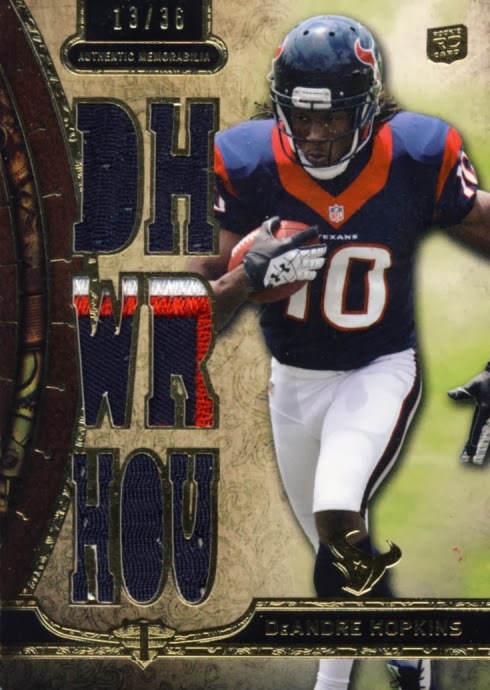 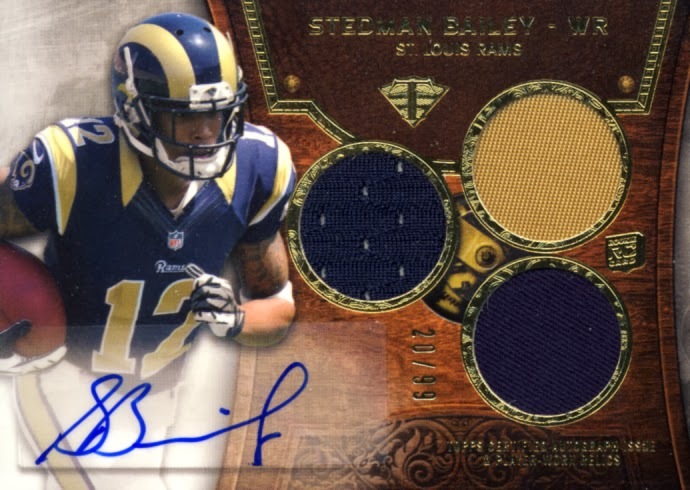 Triple Threads football does have a heavy premiere rookie lean, which is in line with the feel of Triple Threads from years past. 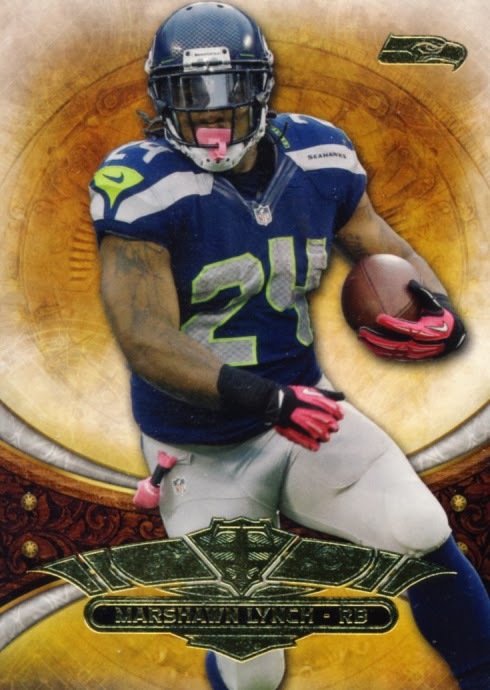 This really is the premiere release so far with some of the best looking hit cards to be produced. Collectors should be very happy with these hits. 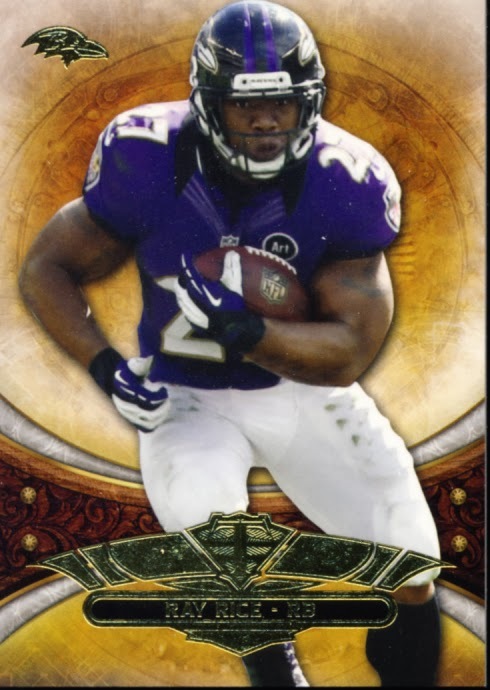 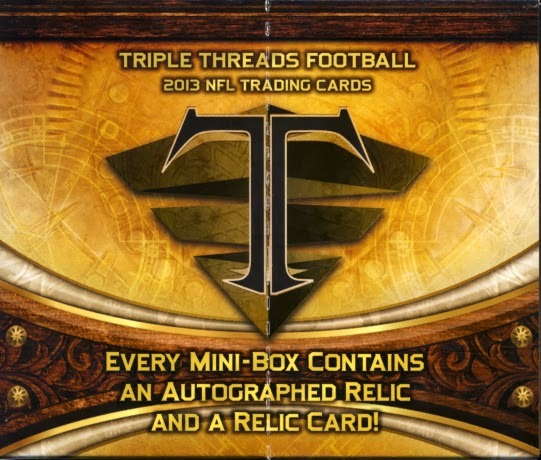 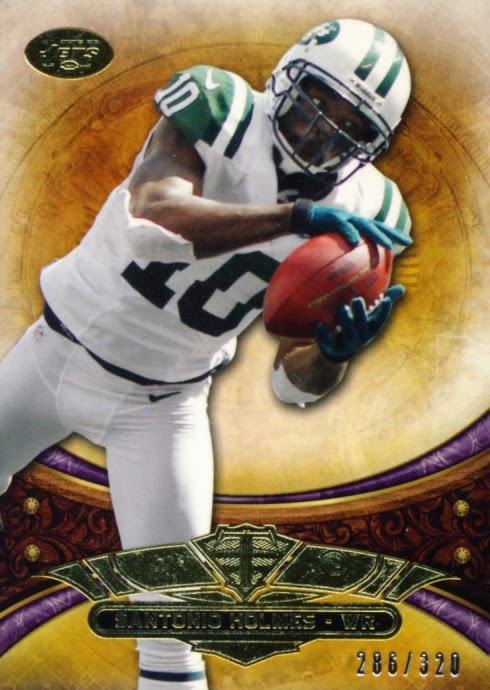 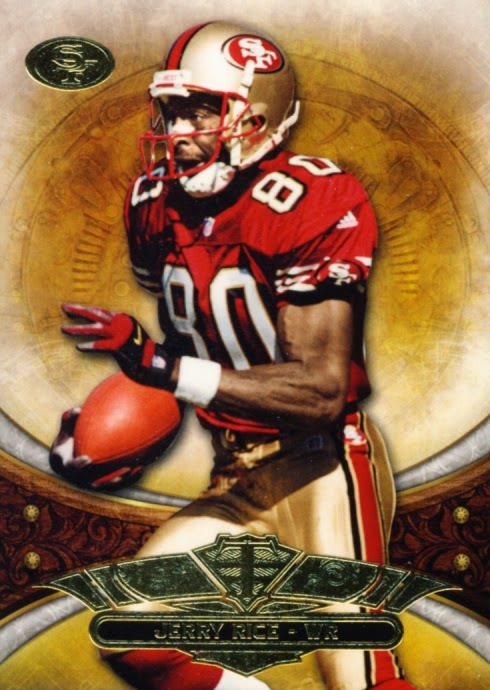 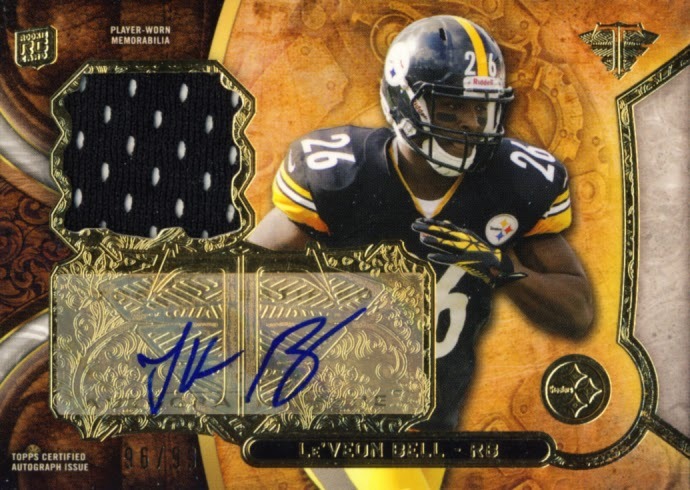 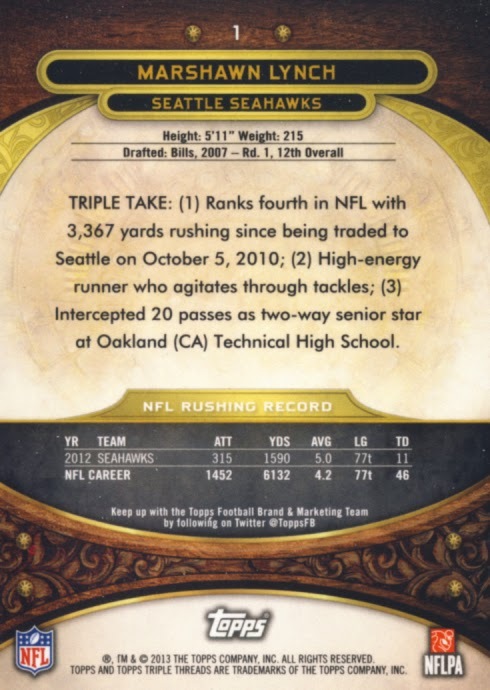 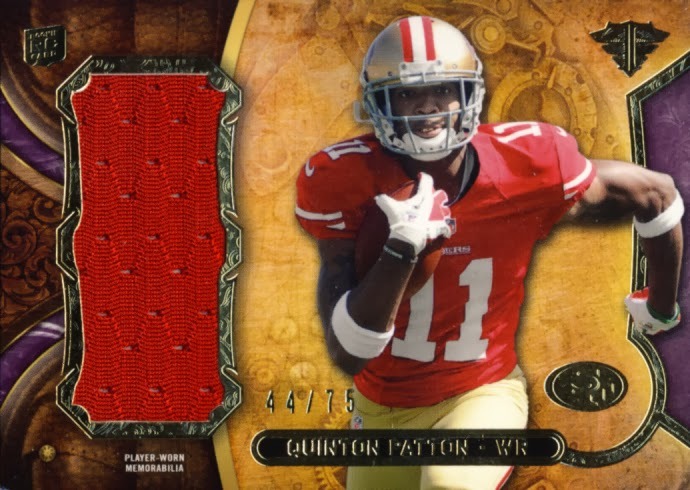 2013 Topps Triple Threads Football delivers other solid release, a collectors' favorite year after year.